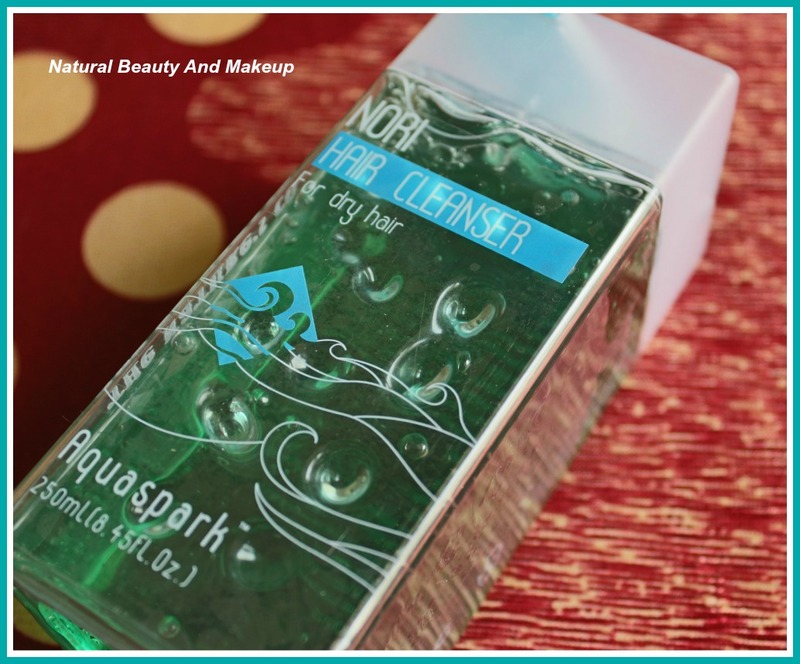 Today, I will be reviewing my latest hair cleanser which is Nori Hair Cleanser, from Aquaspark range of The Nature’s Co brand. I have already shown you this cleanser in my April haul post, so keep on reading to know whether it impressed me or not. 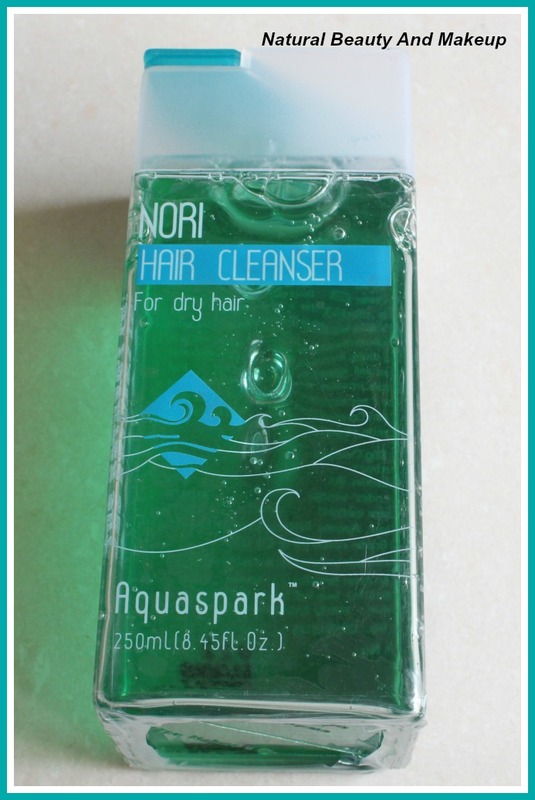 Get lustrous, luxurious hair with Nori Hair Cleanser. Derived from red algae it is deeply effective in revitalizing and enriching your hair. This cleanser has elastin and minerals that will restore your hair to its glossy, strong, nourished best. How to use: Apply a small amount and gently massage into the hair and scalp area. Rinse with warm water and repeat if necessary. ** For best results, follow with Nori conditioner. Because it is natural and gentle, it may be used daily. W/S base, Aroma, Natural preservatives and Food Grade Colours( FD&C) Q.S. Products made using natural hill spring water. All hair cleanser and conditioner range of 'The Nature’s Co' brand has the same signature packaging. It comes in a transparent, long square shaped bottle along with a marine blue flip top cap. The cap shuts tightly, thus no tension about product spillage and is travel-friendly too. 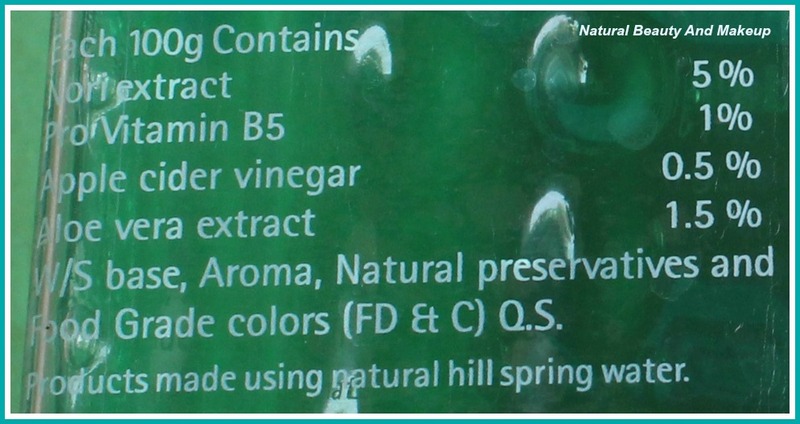 All the details about this product are listed at the back of the bottle itself. The consistency of this hair cleanser is neither too thick nor too runny. It is pale green coloured and has the perfect smooth texture. When dissolved in water, it starts to foam and lathers pretty well, giving you a squeaky clean scalp. Did I say it has an awesome refreshing fragrance; somewhat related to aquatic smell (may be of Nori!)? I love the way my bathroom smells fresh on my shampoo - day. I’m basically struggling with two issues- 1) hair breakage and 2) Dry and frizzy hair end. So while buying a hair product, I always look for two things – nourishment and hair fall claim. If that product claims these two things or anyone, then this is sure on my buy list. 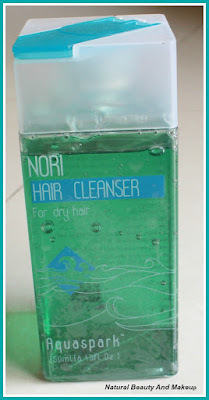 When I saw, Nori Hair cleanser claims to make hair strong, nourished and revitalized, I knew this is coming to my vanity. 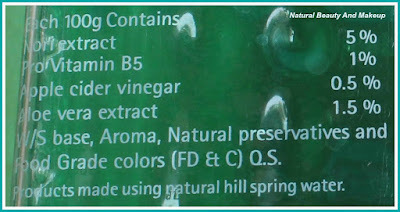 I was curious about this Nori extract and to get a clear picture of it, I did a little Google research and found Nori is nothing but edible seaweed, commonly used in Japanese cuisine. Seaweed also helps stimulate hair growth and prevent hair loss. Besides Nori, this cleanser is fortified with pro vitamin B5, Apple Cider Vinegar, Aloe Vera extract and other natural preservatives. A little amount of this cleanser is enough to clean the scalp efficiently. Only downside fact is that while dispensing the product out of the bottle; quite often products accumulate around the cap opening & makes it messy. It’s been 2.5 months I have been using this hair cleanser, so this 250ml bottle would last you long if you use it every alternate day. I am blessed with fine, natural silky hair with an oily scalp and dry hair end. From the very first use, I noticed that it effectively cleanses the scalp, but I’d have become happier if it could have made my hair strong and nourished! It didn’t stop my hair fall, neither has it claimed so! However, when I oil my hair and cleanse it with this hair cleanser, it removes all the oiliness in a single hair wash. I don’t need to repeat the process. 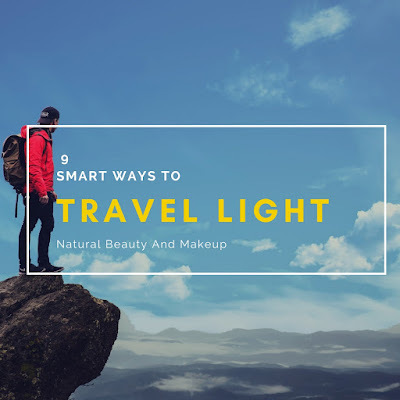 It keeps the oiliness at bay for good two to three days. Major plus! So for the oily hair also, this cleanser would work great. The best part is, when used with Nori conditioner from the same range, the duo acts really well on my hair. It makes hair soft, manageable and reduces hair frizziness to an extent. The claim of strong, glossy hair is not true! Hair Conditioner is a must for extremely dry hair beauties. Suffice to say, it didn’t make my hair strong and nourished (hair breakage remains the same), but when used with a Conditioner, hair becomes less frizzy and much soft. Though it is meant for dry hair only, still I would like to recommend everyone to try out this hair cleanser as it worked for my combination type hair. Girls with an oily hair can give it a try; whereas extreme dry hair beauties please make sure to purchase the conditioner from the same range while buying this hair cleanser. 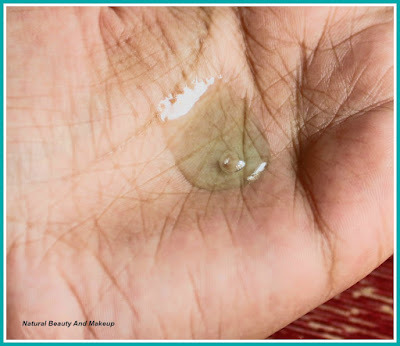 Read also: The Nature’s Co Evening Primrose Hair Cleanser. 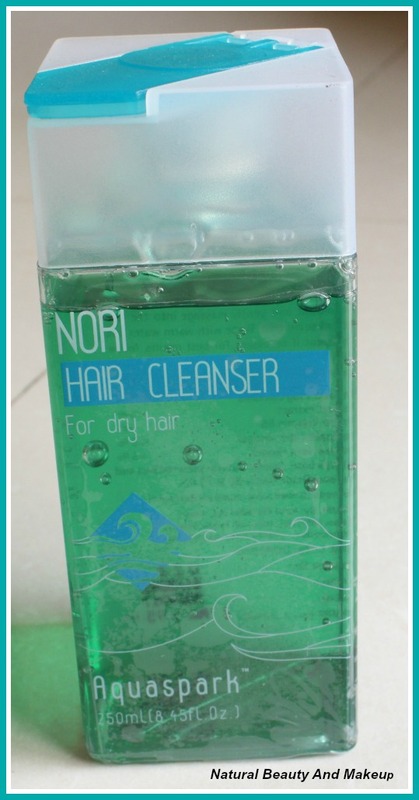 Have You Tried TNC Nori Hair Cleanser Yet? If Yes, Then Share With Me Your Experience In The Comment Section Below. It's good for oily hair also Megha, can easily try this :) Thank you. Some very attractive qualities of this product are it is natural,vegan and for frizzy hair. Thumbs up for all these. I feel Nature's co should mention their whole ingredients, rather than putting base q.s. :D Exactly Shampita,I do feel the same! Sounds like a winner product. I got very dry hair and this product seems good for dry people :) Thanks for sharing ! Loved the review... this kind of packaging is troublesome...i loved that it is good cleansing shampoo with refreshing smell..i would try it out with conditioner.. I love their products but they need to improve their packaging . Nice review. Anamika I have oily hair and I have been looking for a shampoo to cure the oiliness of my hair,this one looks like a nice product.Loved the packaging and the color of the shampoo . Nicely reviewed sweetie. Great post ! Not sure , but do you think it will help grey hair ? i have <ahref="www.bestshampooforoilyhair.net"oily and dandruff hair.please give me choice best shampoo?